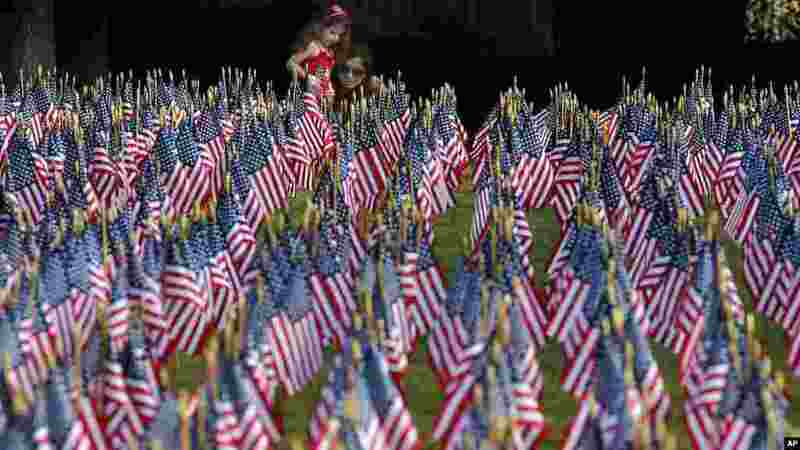 1 Sophia Demos sits with her daughter, Evniki Tsokanis, 4, among a sea of American flags during a memorial in Matthews, N.C., on the 13th anniversary of the Sept. 11, terrorist attacks. 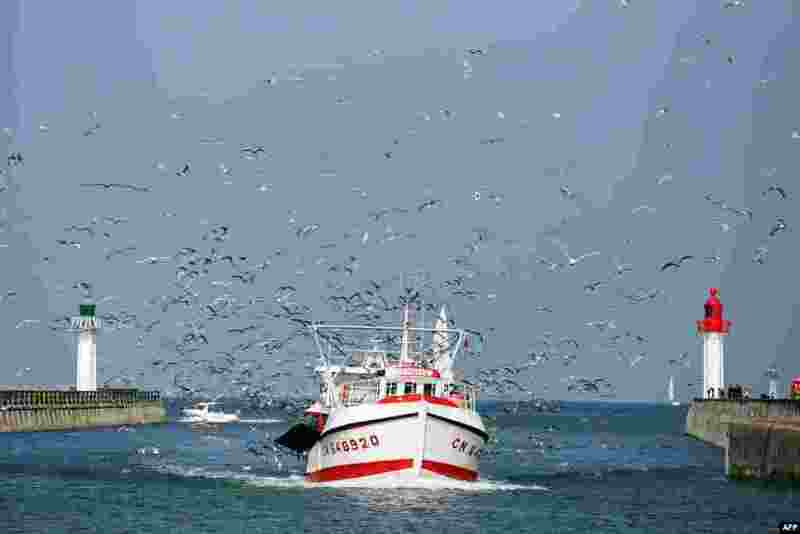 2 A flock of gulls greet a fishing boat "L'Ansylye" as it arrives in the port of Trouville in the French northwestern sea resort of Deauville. 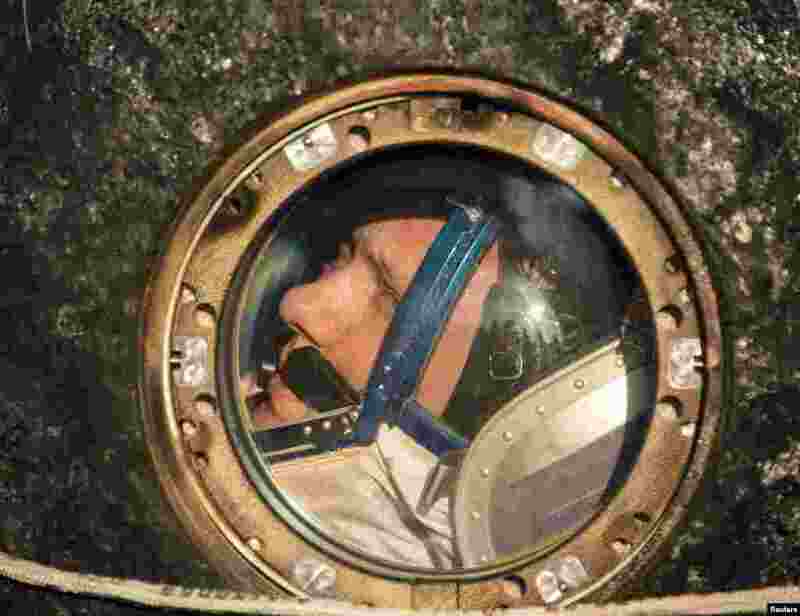 3 Russian cosmonaut Oleg Artemyev looks out of the Russian Soyuz TMA-12M space capsule shortly after landing, southeast of Dzhezkazgan, Kazakhstan. 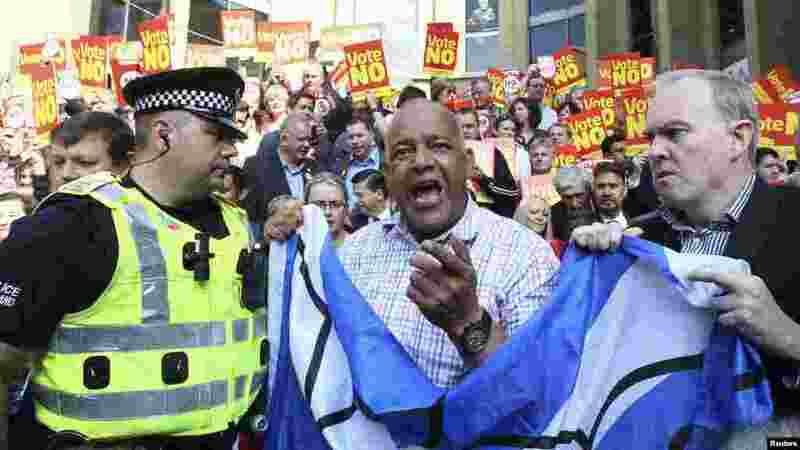 4 Supporters of the "Yes" campaign are confronted by a police officer as they try to disrupt a "No" campaign rally that leader of the Labour party Ed Miliband was to address in Glasgow, Scotland.